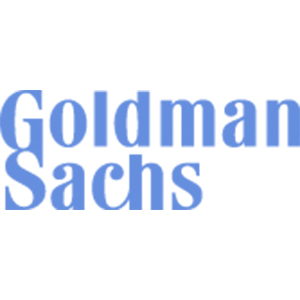 Goldman hired Ms. Allen into its private wealth management division in 2012, according to the suit, and since that time, “despite her outstanding work product and results… [she] has been discriminated against in myriad ways throughout her employment.” As an example, when clients were redistributed among her team members after a left the company, Goldman gave Ms. Allen “substantially fewer and less valuable clients” than her male colleagues. In another example, Ms. Allen worked for three years on a potential client relationship with Saunders, the head of the drug giant Allergan, who “expressed interest in committing significant assets to” the private wealth management division because of her efforts. However, last November, she “was abruptly removed from the Saunders relationship without explanation.” Ms. Allen’s complaint alleges that Christina Minnis, a partner in Goldman’s investment banking division removed her in and eventually took over the account. Such removal allegedly cost Ms. Allen $300,000 in compensation annually. Allen’s direct supervisor, Corey Jassem confronted Ms. Minnis about the removal. In confirmation that Ms. Minnis took Ms. Allen off for unlawful reasons, “Mr. Jassem told Ms. Allen that Ms. Minnis had made an anti-Semitic comment during the conversation and said ‘all this racist stuff'” suggesting that Ms. Minnis removed her from the relationship because she is Black and Jewish. Employees and job applicants are protected under the law from unlawful employment decisions and treatment based on their race and religion. Title VII of the Civil Rights Act of 1964 protects not only people who belong to major organized religions, such as Buddhism, Hinduism, Islam, Christianity, and Judaism, but also others with sincerely held religious, ethical or moral beliefs. Likewise, for employees living in the State of New York, or New York City, there are additional protections. Goldman Sachs potentially violated Federal law along with various New York State and New York City laws that protect employees from discrimination in the workplace. The experienced New York City sexual harassment attorneys at the Derek Smith Law Group, PLLC have years of experience litigating claims of gender discrimination. Working together with our Philadelphia sexual harassment attorneys, we have recovered millions on behalf of our clients who were discriminated against because of their gender. If you feel you have been discriminated against because of your gender, please give our attorneys a call, toll free, at 1877 4NYLAWS, for your free consultation.